The figures are impressive. Thirty-five years in existence; forty-five graduation ceremonies; 7,989 graduates. "Today we celebrate the achievements of 154 young people (67 young men & 87 young women) in 7 modules, from February 2017 to September 2018," said John Roach, the Youth Development Officer as he delivered the programme's status report at the ceremony. Roach said Hurricane Maria severely affected the Youth Skills Training programme when the storm rampaged through Dominica in September 2017. "The Division's training facilities in Marigot, Delices, Portsmouth and Grand Bay suffered significant damage; the facilities in Castle Bruce and Dublanc which were spared have been occupied by homeless residents of these communities. 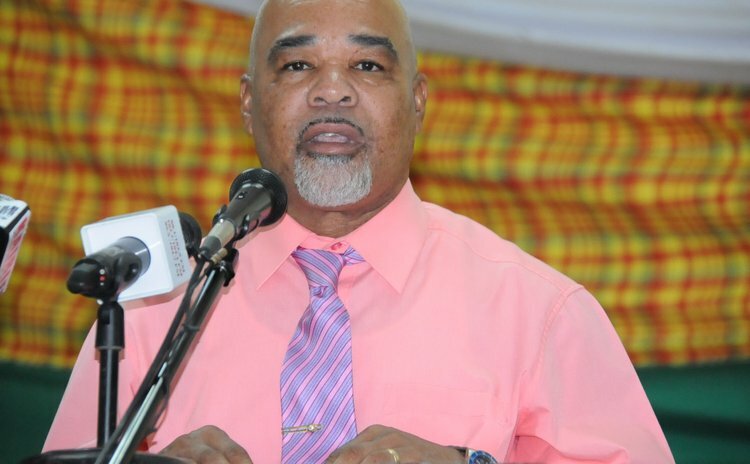 One of the two training facilities in Roseau was partly damaged, the other facility which was spared has been used as the main administrative office of the Division; as the Division's office on Charles Avenue, Goodwill was completely destroyed," said Roach. He added: "The Division has been in negotiations with CALLS in Portsmouth, and the Dominica Legion in Roseau for use of their facilities, to resume training programs in these two districts, while alternative arrangements are being made to resume training programmes in the other districts". The 2018 graduates completed courses in Computer Literacy (Wesley -10; Portsmouth-13; Castle Bruce-8; Grandbay-11; Roseau-29; and St. Joseph-14); Electrical Wiring (Roseau- 20; Portsmouth-14); Cosmetology ( Roseau-9);Sewing (Portsmouth-8); Agriculture (Marigot-8); Auto Body Repair(Castle Bruce-9); Auto Mechanics (Grandbay-8). In addition, Roach said the YSTP also provided skills to help the graduates to navigate the business of living. "We recognize the importance of life skills and soft skills such as self-esteem, leadership development, citizenship, remedial literacy and numeracy, health and family life education, office etiquette, social & business skills. This holistic approach to youth development is what that separates the Youth Skills Training Programme from the others," Roach said. Roach reported that that nearly seven out of every ten YSTP trainee are female and that about 45% of those traced had gained employment following completion of their respective training programmes. "Taking these findings into consideration and the limitations under which the programmes are delivered, it is evident that the Youth Skills Training Programme has, and continues to make the desired impact on the social and economic empowerment of our young men and young women in Dominica," Roach said. A major cause of the programme's success, Roach said, has been collaborating with the Ministry of Trade and Employment. "I am also pleased to report that through this collaboration, we have been able to assist several of our trainees with fortnightly stipends during the training and post training attachments," Roach said. The programme is also collaborating with the ministry of commerce, enterprise and small business development as well as the fisheries division. For the future the YSTP is planning to shift its focus to encompass the reality of climate change. Roach said: "In response to the Prime Minister's call to be the first climate resilient country in the world, the Youth Development Division has reviewed its strategic plan for the period 2018 to 2023 under the theme, "Investing in Youth for Sustainable Development". "The Youth Skills Training Programme will continue to be the Division's flagship programme in the empowerment of our nation's young men and young men during the next five years." The Youth Division's new sub theme is "Building Resilience, Food & Job Security Thru Youth Skills."